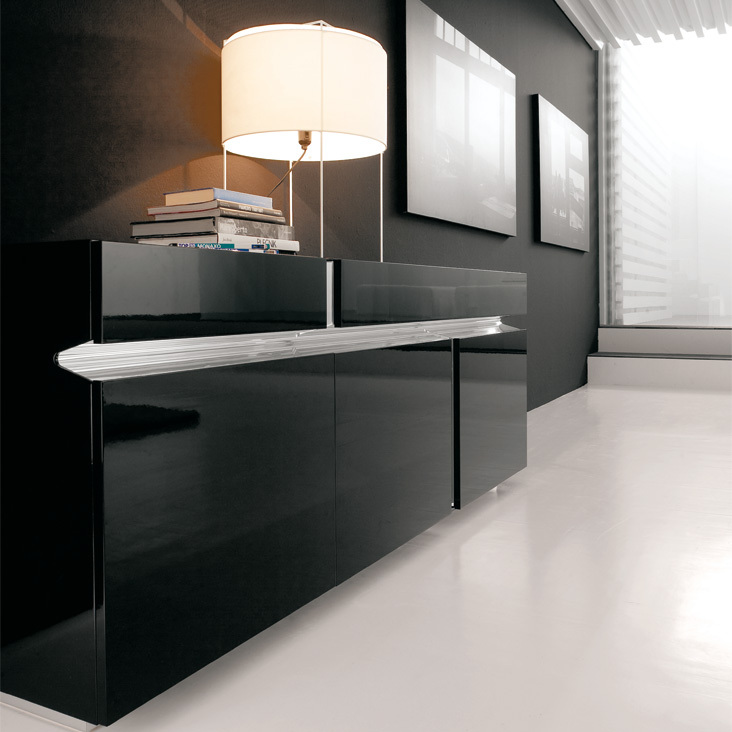 Sideboard with 3 doors and 2 drawers with internal clear glass shelves. 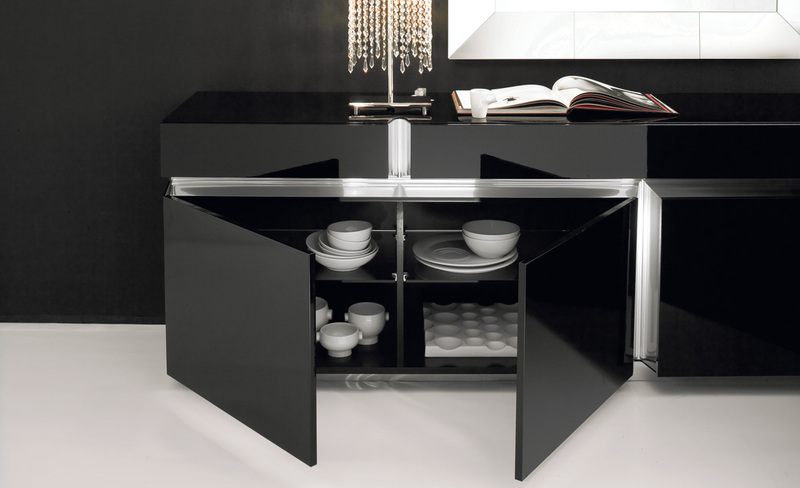 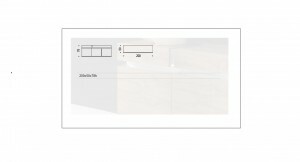 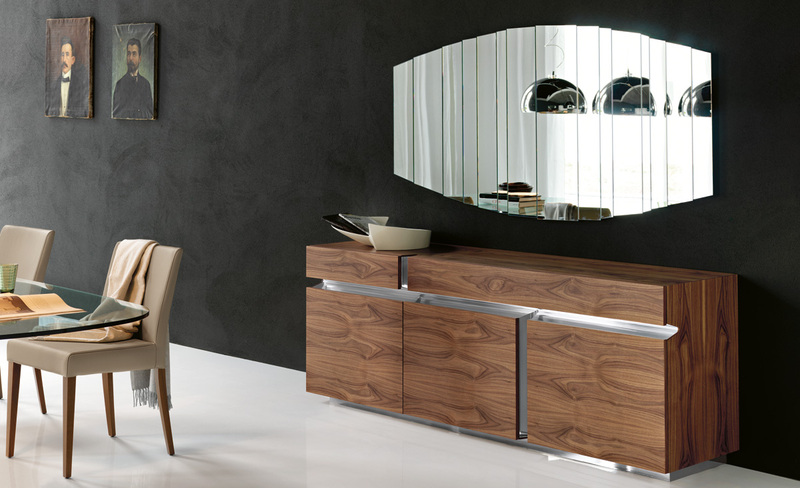 Frame in polished white or black lacquered wood with doors and drawer fronts in polished white or black lacquered wood or mirrored. 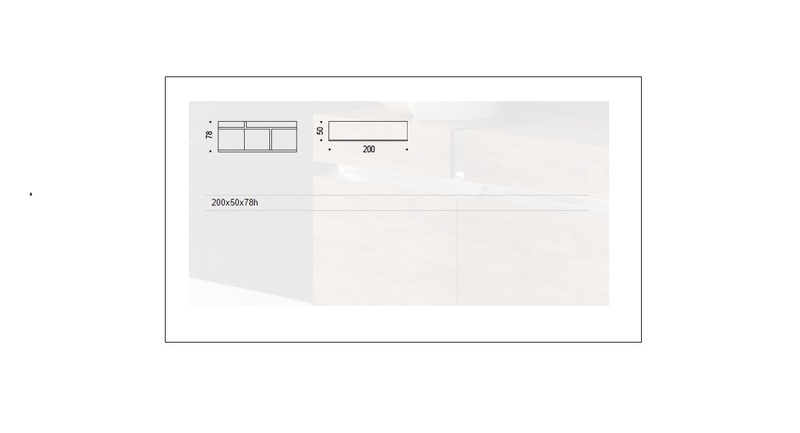 Stainless steel profiles and base. 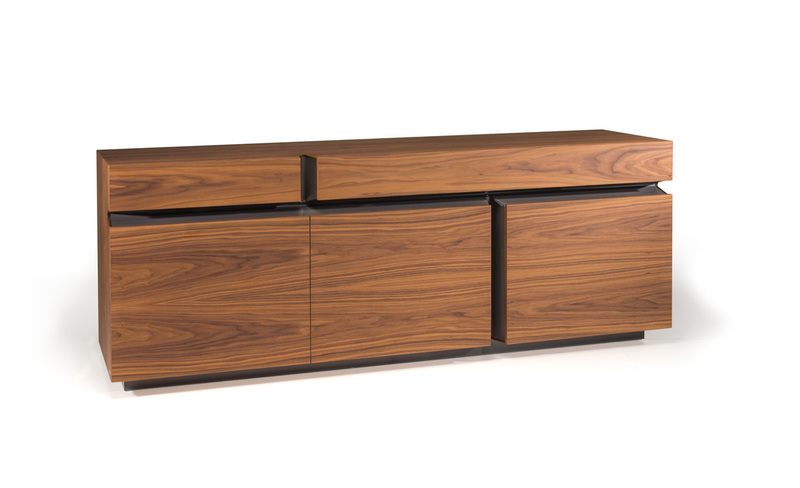 Frame and fronts in Canaletto walnut or burned oak with stainless steel or graphite matt profiles and base.